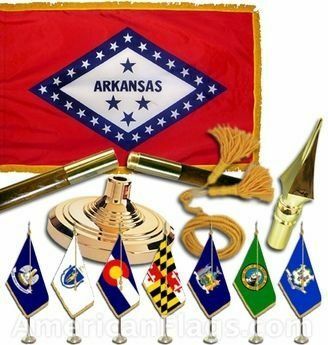 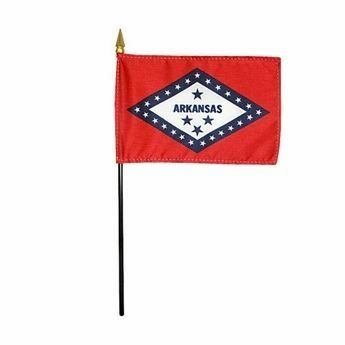 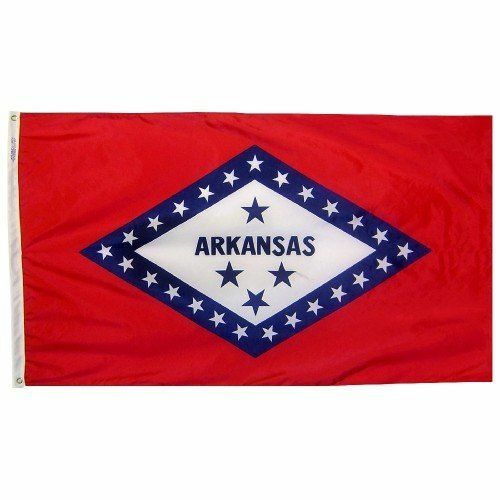 AmericanFlags.com is proud to carry Arkansas State Flags in a variety of materials and styles, in sizes ranging from 4 IN X 6 IN to 12 FT X 18 FT. All of our Arkansas flags meet official specifications, are on sale right now and are ready for immediate shipping to your door. 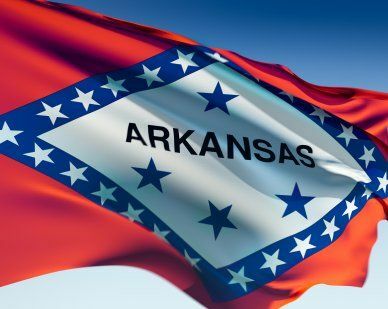 With a diamond shape on a red field that represents the only location in North America where diamonds have been mined, the Arkansas State flag features twenty-five white stars to commemorate Arkansas’ place as the twenty-fifth state to join the Union. 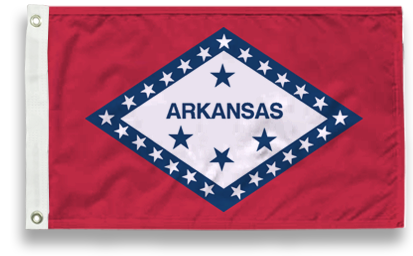 The three blue stars below the state name represent France, Spain and the United States, the three countries that the territory belonged to and that Arkansas was the third state created from the purchase. 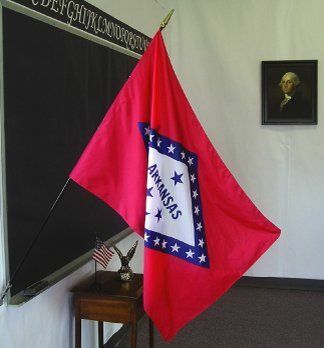 The solitary star that appears above the state name represents Arkansas' membership in the Confederate States of America during the Civil War.